Logic holds that one must have a compelling reason to depart a beautiful place such as New Zealand. A couple hundred dollar non-refundable flight could do the trick, but a better reason is to meet up with distant friends. 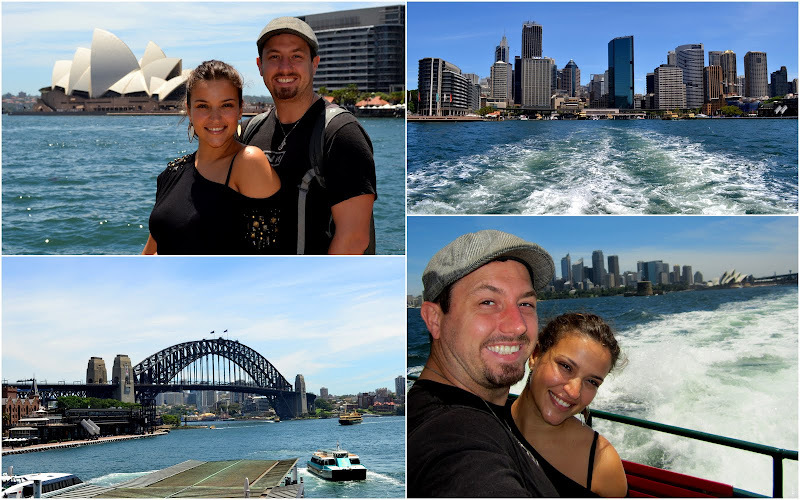 For this latter reason, we planned to enjoy Sydney for the better part of a week. Not normally a city that requires such a commitment of time, but we had a lot of catching up to do! First we visited our friend Kathleen, who we had not seen in a couple of years. This trip would mark the first time we ventured into her foreign turf since she departed the enchanted land of America for the Netherlands and now Australia. She lives in Croydon, a suburb north of the city center, with her daughter Grace and boyfriend Charlie. The town is quaint and quiet – the streets lined with all brick, single level homes that quickly blend into a labyrinth of sorts and by the time the cabby got us to the right doorstep we didn’t know which way was up or down. Sadly, we were arriving one day late to enjoy a blockbuster Friendsgiving feast that Kathleen & Charlie had hosted for more than thirty guests. Luckily though, the crew didn’t polish off all the food, so after a long day of travel we were able to enjoy turkey and fixens, which made us a little less sad to have missed sitting down for T-day with our families back home. Day one we walked the Rocks, explored the harbor, took pictures with the bridge and opera house and hopped a ferry across to the zoo. The skyline views below were actually taken from the Zoo. The debate in Australia is whether the Giraffes or the Gorillas have the best view of the city. 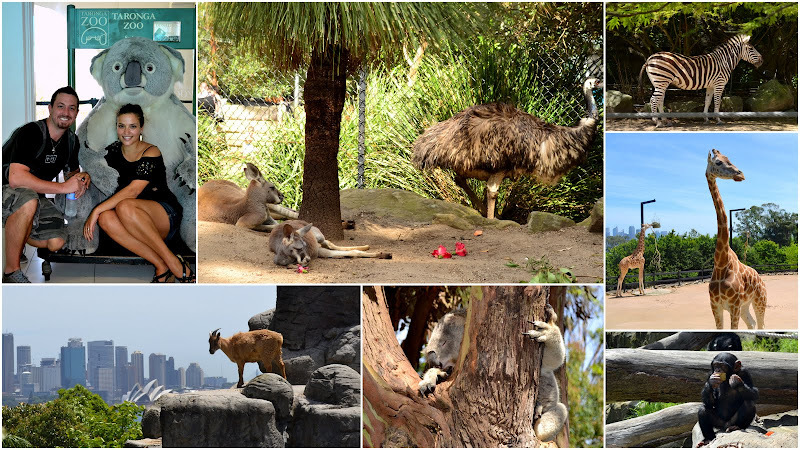 A couple cool things about the zoo were; (a) the bird show, (b) the African animals like the giraffes and tigers, and © all the various species of kangaroos. We topped off our first day in Sydney with another personal first – eating a barbie (barbecue) in which one of the courses served was an animal we just observed in the zoo. Let me tell you, giraffe is one great piece of meat! OK, that was a joke – though we did have some delicious kangaroo. Of course, Aussie’s are know for a tasty barbie and this one did not disappoint. I suspect it was the perfect storm of an expert grill master (thank you, Charlie), high end grill (we are a talking $3000+ engineering marvel) and great company that made it one of the most memorable barbies we’ve had! And who can forget eating Kangaroo – tastes like a lean piece of top sirloin. Day two took us to see Manly beach in hopes of finding some good weather and in pursuit of a better tan. Unfortunately, mother nature did not comply with our request and after an hour of being whipped around on the beach by storm level winds and nothing but clouds above, we retreated back to Croydon. Arriving home earlier than expected, we crashed yet another masterful feast from the grill. Lets just say we wont be challenging any Aussie’s to a grill off any time soon. After just a couple days it was easy to see how one could make an easy transition from North American to Pacific life in Sydney and why one might not want to return to the states any time soon. 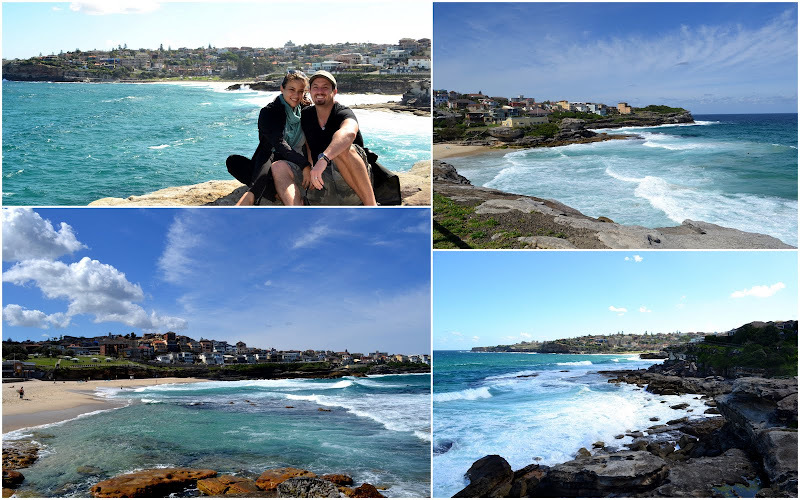 For the remainder of our week in Sydney, we stayed with our other friends, Jen and Rob, who took off from New York a few years ago in pursuit of a new business interest and located themselves in Bronte, just outside the famous Bondi beach. They have an awesome, swank pad with two expansive balconies, one off the main living area and another off the master bedroom, a spare bedroom of ample size and lots of light pouring in from all the windows. If we could catalog order our next apartment in Santa Monica, this is exactly what we’d choose! Jen and Rob took us into Bondi for a great meal the first night and we spent the next couple days taking long walks on both Bronte and Bondi beach. This small sample of life on the beach was a great glimpse into the future we hope to have in Cali. 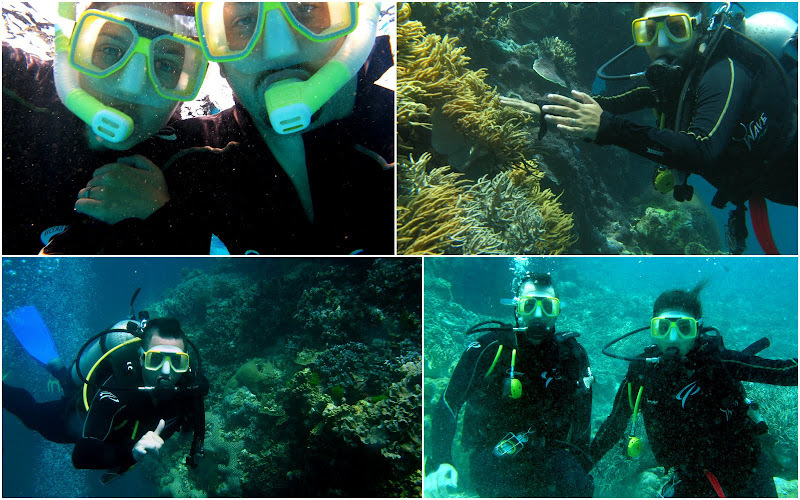 After a wonderful friend-filled time in Sydney, we headed north to explore the Great Barrier Reef. Our Aussie mates had warned us that there is not much to see in Cairns, so we opted instead to stay in a resort an hour or so north in Port Douglas. PD was your typical beach town with a main street lined with shops and restaurants servicing a number of beach front resorts. 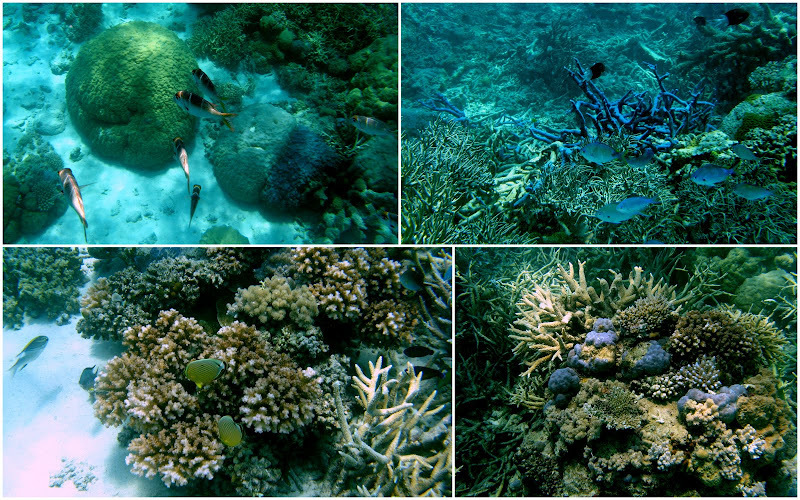 Chartering space on a day boat, we were able to enjoy a couple of intro scuba dives out on the reef. Next stop – Japan, where we met up with Val’s mom and grandpa!